The European Union (EU) is facing turbulent times. It is plagued by deep divisions over how to shape its future. Over half a century of integration has created a profound interconnectedness between the political, economic, and social fates of member states. At the same time, however, the fortunes of member states have started to diverge dramatically. The Eurozone crisis for example unmasked deep structural imbalances across the Union. The political fault lines are widening. Today, they crosscut the continent from North to South on economy and austerity, and from East to West on migration and human rights. These developments have also left a mark on public opinion. Bruised by the Eurozone and refugee crises, large parts of the public have come to doubt the competence and integrity of their political and financial masters in Brussels and at home. Eurosceptic sentiment is on the rise. It is no longer a phenomenon tied to small segments of society, extremist political parties or specific economic cycles. For a long time public opinion was viewed as largely irrelevant for the course of European integration. Elites could pursue further integrative steps with little regard for what the public wanted. Today, leaders in Brussels and Europe’s capitals are confronted with a new and challenging political reality: the unprecedented development of European governance has led to greater public contestation, yet at the same time the EU is more reliant on public support for its continued legitimacy than ever before. What exactly do we mean by Eurosceptic public opinion? Is it the driver of recent Eurosceptic party success, or do national conditions and evaluations play a more important role? And finally, when does Eurosceptic public opinion have the ability to constrain the preferences of elites who shape jurisdictional choices in Europe? These are important questions for every student or observer of European politics. Euroscepticism is not a stand-alone phenomenon. It is deeply rooted in and framed by people’s national experiences. Euroscepticism essentially boils down to a comparison between the benefits of the status quo of membership and those associated with the alternative state, one’s country being outside the EU. It takes shape in conversation with one’s national reference point, is there a viable alternative to membership? When people are more optimistic about their country’s ability to deliver, they become more Eurosceptic, and vice versa. This insight is important as it helps us understand why support for the EU remains relatively high in bailout-battered member states that have experienced some of the worst effects of the crisis, like Ireland or Spain, while Euroscepticism is on the rise in countries that have benefited enormously from the Single Market and/or the Euro, and weathered the crisis relatively well, such as Germany or the Netherlands. Yet, public opinion cannot be simply characterized as Eurosceptic or not. Rather it consists of different types. Distinguishing between these types is important as they translate into very different policy priorities, vote choices and preferences for EU reform. The EU is more reliant on public support for its continued legitimacy than ever before. 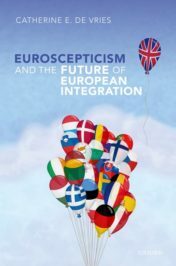 Euroscepticism is such a diverse phenomenon precisely because the Eurozone and refugee crises have exacerbated structural imbalances within the EU and consequently made experiences with the Union more distinct than ever before. As the economic, political and social conditions of member states started to diverge further and further during the crisis, people’s national reference points also moved further apart. The EU today is characterized by growing preference heterogeneity. There is an expanding rift between different types of sceptics within and across countries in terms of what they want from the EU. Some sceptics, especially within the North Western region, demand less intra-EU migration, while others, most notably in Southern and Central and Eastern European member states, wish to see more economic investment and employment programmes. This represents somewhat of a policy conundrum. Although it might be possible to strike a balance between these different demands by introducing some sort of transfer or debt reduction mechanism that would allow poorer economies to grow and thus depress the need for migration in the future, the fruits of such reforms would most likely only come to bear in the medium or long run. Given the importance of EU matters in domestic elections and for the re-election of national governments, current incumbents will most likely focus on their short-term political survival rather than medium- to long-term policy solutions. So, how should the EU move forward? The growing preference heterogeneity suggests that a one-size-fits-all approach for addressing Euroscepticism is unlikely to be successful. One way for the EU to deal with different constituencies, might be to fully embrace the diversity within its borders and provide more differentiated and flexible policy solutions. Perhaps successful integration should not be defined as a form of harmonization or even homogenization, but rather be rooted in the principle of flexibility. A flexible rather than fixed end goal could prove a strong argument for the public to stick with the European project, even though it is fundamentally divided about what it wants from Europe. Featured image credit: EU flags in front of the Berlaymont building, head office of the European Commission by Amio Cajander. CC-BY-SA-2.0 via Wikimedia Commons. Catherine E. De Vries is a Professor of Politics at the Department of Government at the University of Essex. She is the author of Euroscepticism and the Future of European Integration. wouldn’t all of the major benefits of integration be lost if they moved to differentiated policies?